Shortlisted for the Man Booker Prize, this intriguing debut by a Libyan expatriate spotlights a Libyan family buffeted by a repressive regime. The Qaddafi dictatorship is seen through the eyes of an only child, nine-year-old Suleiman. He lives with his Mama and Baba (father) in Tripoli; the year is 1979. Baba has international business interests; while he’s traveling, Mama becomes “ill” and takes her “medicine” (alcohol provided, illegally, by the baker). It’s not the happiest of marriages. It was arranged by her family after she was seen with a boy at a coffeehouse. She was only 14 and Baba a total stranger on that “black day” they wed. Her plight weighs heavily on Suleiman, but soon he will have more to worry about. Their neighbor Ustath Rashid, a university teacher and father of his best friend Kareem, is taken away by government agents on suspicion of betraying the regime; Mama, opposed to political activism, now shuns her neighbors and Suleiman, hating himself, breaks with Kareem. Baba is the regime’s next target; frantically, Mama burns all his beloved books. 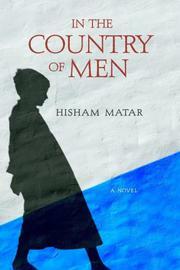 Matar precisely captures Suleiman’s bewilderment as his world falls apart. He’s afraid of the goon parked outside their door, but like the other kids is attracted to the power that radiates from another neighbor, Jafer, a top security official. Mama, practicing “the dark art of submission,” appeals to Jafer to save Baba. Her entreaties work. Baba is returned home, beaten up but with no broken bones. Their erstwhile neighbor is less fortunate. In the novel’s most riveting scene, he is hanged in front of a cheering crowd, a TV spectacular. So, state terror is now added to the Koran and the tales of Scheherazade as one of Suleiman’s formative influences. Some loose ends and a rushed postscript showing Suleiman’s later life in Cairo are minor problems. A tender-hearted account, winning in its simplicity, of a childhood infected too soon by the darkness of adults.